Speedy Electric & AC specializes in efficient, reliable HVAC solutions that are custom tailored to meet the specific needs of our customers. We understand that comfort means different things to different people. Consistent temperatures, better indoor air quality, quieter equipment, and low humidity levels in your home are just a few of the benefits of choosing us to handle your air conditioning services. When it comes to improving your indoor air quality, Speedy Electric & AC is your best choice for air conditioning service in Midlothian, TX and the surrounding areas. Our team of experts offer affordable and efficient HVAC service to keep your home or business cool during the Summertime. Your family deserves an AC repair company you can count on, and Speedy Electric & AC is ready to earn your confidence. Speedy Electric & AC in Midlothian stands behind every job with a 100% satisfaction guarantee. Our AC repair service technicians are always professional, courteous and on-time. We understand the inconvenience that a broken A/C unit can be at your home or business. That’s why we guarantee the following services: All Major / Non-major Water Leaks, System Freeze-ups, hot or cold spots. Ensuring the longevity of your air conditioning unit requires routine maintenance. We offer routine maintenance that suits your busy lifestyle! 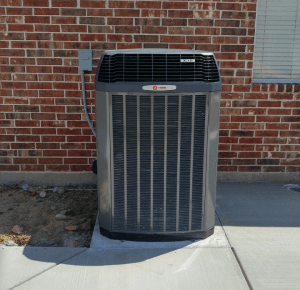 Speedy Electric and AC provides the Dallas-Fort Worth area with high quality customer service done right the first time to create comfortable, healthy, and energy efficient places to live and work.